Physical effects for the aircraft's control surfaces are recalculated in real-time. Most .acf files have no information about control surface forces. XPForce can use these if they are present, but will do all calculations without them. 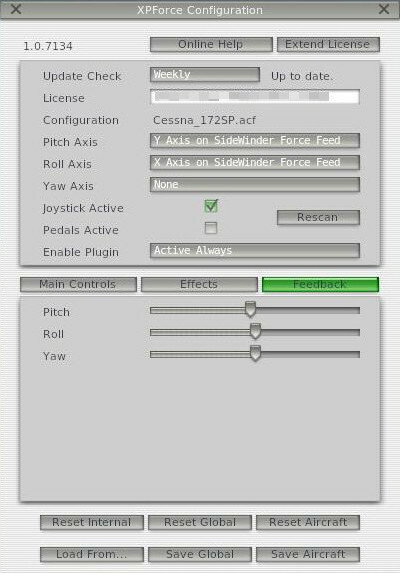 Each of the forces and effects can be tailored to your preference using an in-sim editor, in real-time. You can have one setup which covers all aircraft, or customise each aircraft type differently. The most appropriate setup will be used automatically. Once you have your setup perfected you can share it with friends simply by sending them a file. Try it out at no risk whatsoever! Downloads are at the bottom of the page. XPForce is a plugin for X-Plane from Laminar Research, Microsoft/Dovetail FSX or FSX-SE, Flight Sim World, and Lockheed Martin Prepar3D v4. XPForce adds support for force-feedback joysticks, yokes and pedals on Windows! If you have a license for any version of XPForce you can get a substantial discount on any other version just by logging in during checkout using the same email address! Linux support for XPlane existed in the past but is not currently maintained due to lack of interest. If this changes it will be listed here. Mac support is sadly not possible because of the lack of any force-enabled drivers at all. X-Plane has long offered support for force-feedback but this depended on separate, 3rd-party software to actually communicate with the force feedback joysticks. It also only works if each individual aircraft was built to support force-feedback. Sadly, most aircraft available seem not to have this support. This plugin adds the essential hardware support on Windows, but also bypasses the need to modify each of your aircraft files to support forces. It will use X-Plane’s ‘native’ force support if the aircraft is built for it, but if not then the plugin will use internal calculations for forces. XPForce replaces the simulator's native force feedback with something much, much more immersive. 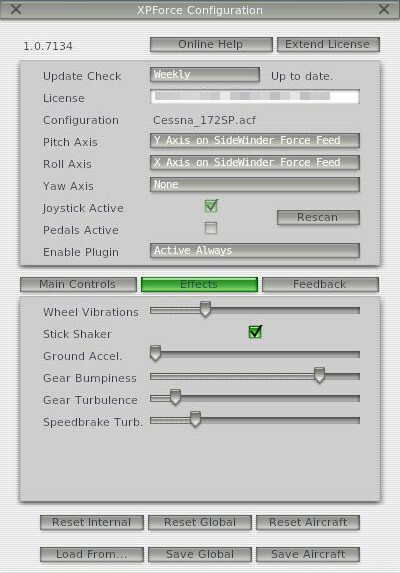 By default the simulator adds simple effects like wheel rumble and a simple constant force that works just like a spring, which is little improvement over a non-feedback controller. All of the responses and effects that are added in X-Plane are also modelled in FSX-derived simulators. 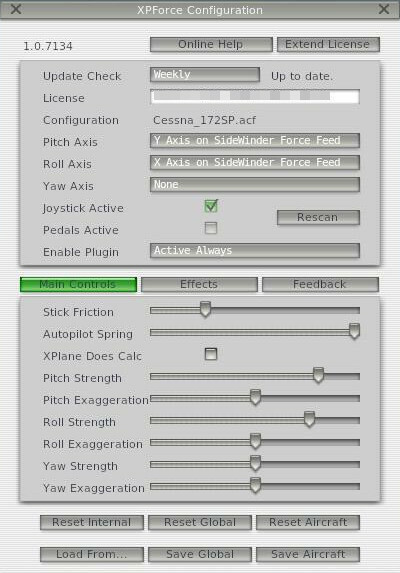 As with the X-Plane versions, the plugin models the effects whether or not the aircraft designer has provided specific force-feedback settings with the aircraft. No modifications to any files are needed! ... and more being added! Except for the Saitek EVO Force because the 64-bit drivers are broken.